This year the world’s most influential user group communities of Microsoft Business Applications users and partners will attend the User Group World Tour event in Amsterdam on 26 of March. In 2019 the User Group World Tour events will be held not only in Amsterdam but in London, Copenhagen, and Johannesburg as well. The User Group World Tour is known for delivering the “best of” Microsoft Dynamics content at convenient one- to two-day events suited for managers and end-users from the IT, Finance, Operations, Warehouse, and Shipping Departments. 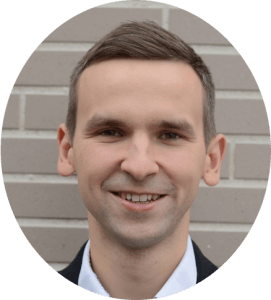 D o not miss an opportunity to hear more about Business Central: Why Upgrade and How to Prepare for It, as this topic will be presented by Petras Butėnas, CEO of Simplanova on 26 of March, at 16:15 on Breakout Session. During the presentation, we will walk through why and when you should consider upgrading to BC, and review how Microsoft is incentivizing your decision sooner. We’ll also review the key considerations of how to choose between staying on-premise or migrating to the cloud, and what’s involved in each option. Be prepared to expand your circle of connections and let’s meet at the User Group World Tour event in Amsterdam! Meet our team at the User Group World Tour event! Submit this form if You want to meet us during the User Group World Tour event in Amsterdam. Leave your details and we will contact you to agree on the most convenient time for you.